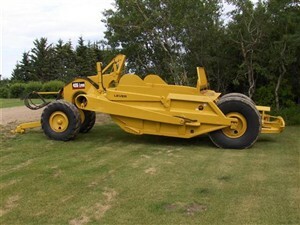 Lever Holdings Inc. is a family business in Muenster, Saskatchewan that rebuilds old cable scrapers into new hydraulic scrapers. We rebuild to industrial specifications with top quality heavy industrial cylinders, hoses and fittings for years of trouble free service. 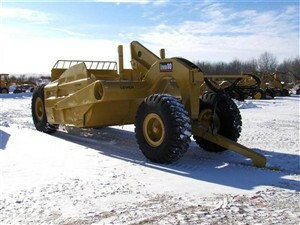 We specialize in Caterpillar and Letourneau. We buy Caterpillar, Letourneau, Allis and other cable scrapers and sell them as a Lever hydraulic scrapers with a new serial number. We buy and sell scrapers in Mexico, the United States, Canada and even on a few occasions across the world. We take pride in our work and it shows through in the reliability and strength of our products. We have over 30 years of experience, and all of our scrapers are covered by a full warranty. If you move to a bigger tractor or crawler in the future, we can take your machines back on trade for a newer one. Even if you don’t have one of our scrapers, we welcome you to contact us if you have any concerns, questions, or problems with your scraper or dirt moving project.